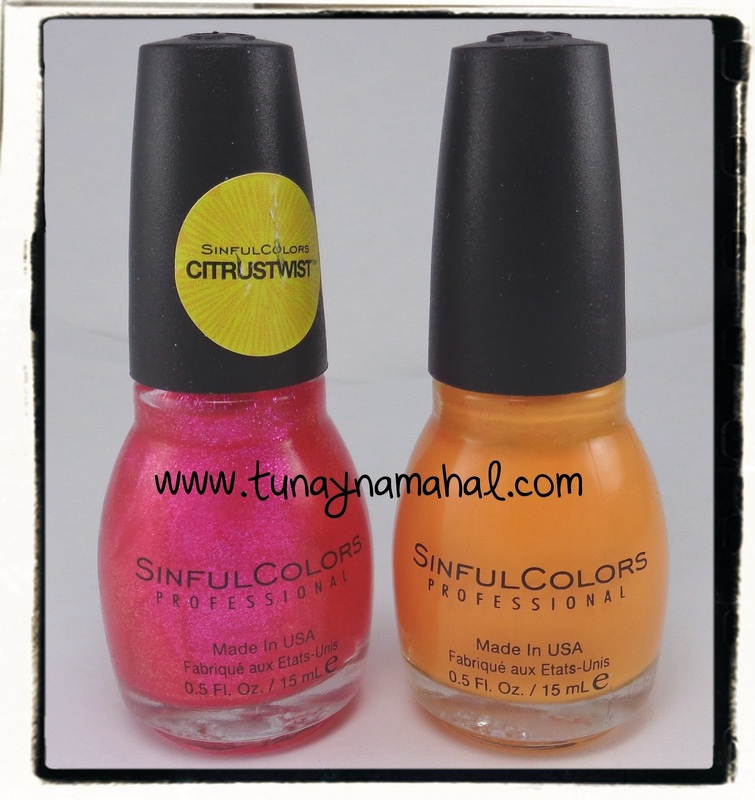 I was recently sent five of SinfulColors new polishes for Spring 2015. There's some new additions for spring: Bloomblast Glitters, Opalescent Toppers, and Citrus Twist Toppers. Flower Power was my absolute favorite! It's very indie-esque color. A light pink glitter crelly. The first coat was quite sheer, but you can see it evened out nicely on the second coat. Still a little sheer, but super girly and pretty. I used Seche Vite topcoat. Flight to See is one of the new opalescent toppers. It's a pretty purple with pink shimmer. This is very sheer, so if you don't want to do three coats like I did below, you could always layer it over another color. I used Seche Vite topcoat. Prized Plume: A sheer blue green leaning opalescent topper. This can be layered over other colors, or you can do 3 coats like I did below. I used Seche Vite topcoat. Zest of Times: Super pretty in the bottle. A bright pink, with orange shimmery topcoat. Much too sheer to get opaque on the nail for me, it starts to get thick and gloopy the more coats you use. Instead, I layered two coats over SinfulColors Anchors Away. I also used Seche Vite topcoat. Have you tried any of SinfulColors nail polishes, what do you think? $1.99 at Walgreens, Target, Walmart, and other mass retailers.